Khwezi received his undergraduate early post-graduate education from the Department of African Literature at the University of the Witwatersrand. He received his PhD from the Department of Africana Studies at the University of Pennsylvania in 2015. 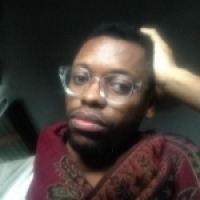 His dissertation, Empire Unbound: Imperial Liberalism, Race and Diaspora in the Making of South Africa, explored the politics of imperial belonging in late nineteenth century and early twentieth century South Africa using black print culture as an archive. “Citashe’s Apostrophe - “Zimkile! Mfo wohlanga:” The Unfinished “Preface” to an African Modernity,” The Journal of Commonwealth Literatures, 43:1 (2008): 97-114. “‘Carrying the Cross’: Isaac William(s) Wauchope’s Ingcamango Ebunzimeni and the power of speaking obscurely in public,” Social Dynamics 36:1 (2010): 222-234. “Fables of Death: Law, Race and Representations of African Mine Workers in Umteteli Wa Bantu,” Current Writing: Text and Reception in Southern Africa, 22:2 (2010): 19-36. “Neither History nor Freedom Will Absolve Us: On the Ethical Dimensions of the Poetry of Lesego Rampolokeng,” Safundi: The Journal of South African and America Studies, 12:2 (2011): 179-203. “Abrahams, Peter Henry,” Dictionary of African Biography, Emmanuel K. Akyeampong and Henry Louis Gates, Jr. (Editors). Cambridge, MA: Oxford University Press. 2012. “Mtshali, Mbuyiseni Oswald,” Dictionary of African Biography, Emmanuel K. Akyeampong and Henry Louis Gates, Jr. (Editors). Cambridge, MA: Oxford University Press. 2012. 2014: “The Violence of Citizenship: South African Pasts and the (Un)Making of Belonging, 57th Annual Meeting of the African Studies Association, Indiana University, November 2014 (Upcoming), Indianapolis. ““but through the biggest magnifying glass:” Sol Plaatje, Colonial Cosmopolitan,” 40th Annual Conference of the African Literature Association, University of the Witwatersrand, April 2014, Johannesburg. 2013: “Black Cosmopolitans and Cape Town: 1900-1919,” Es’kia Mphahlele Post-Graduate Colloquium, University of the Witwatersrand, September 2013, Johannesburg. “Dangerous Liaisons: Making Affiliations and Black Empire in early Twentieth Century South Africa,” Textual Commodities in Empire,WISER, University of the Witwatersrand, June 2013, Johannesburg. “Black Cosmopolitans and Cape Town: 1900-1919,” Remapping the Black Atlantic: (Re)Writings of Race and Space, DePaul University, April 2013, Chicago. 2012: “Reading Formations and the Black Diaspora,” 55th African Studies Association Conference, November 2012, Philadelphia. 2011: “Exile and Postcoloniality in the Works of Es’kia Mphahlele and Peter Abrahams,” Es’kia Mphahlele Post-Graduate Colloquium, September 2011, Johannesburg. “Exile and Postcoloniality in the Works of Es’kia Mphahlele and Peter Abrahams,” 37th Annual African Literature Association Conference, April 2011, Athens, Ohio. 2008: “Mapping the Post-Colonial in Chinua Achebe’s “Things Fall Apart,” Things Fall Apart Half a Century Old: Celebrations, Genealogies, Perspectives and Mappings, 7th November 2008, University of the Witwatersrand, Johannesburg. 2006: “Citashe’s Apostrophe - “Zimkile! Mfo wohlanga:” The Unfinished “Preface” to an African Modernity,” Engaging Modernities: Cultural and Intellectual Trajectories in East and Southern Africa, December 2006. Eldoret, Kenya.